Installing a garage-door seal is a big job. It requires know-how and attention to detail. Having a good garage-door seal keeps warm or cold air from flowing freely into the garage. Rodents and dirt have free range when a garage-door seal is broken. Calling a garage door professional is your best bet for trouble-free installation. However, if you’re handy, you may want to give this project a whirl. Either way, it’s helpful to have an overview of the project so you know how to install a garage-door seal. Gather your tools and supplies and plan to spend several hours working on this project. Raise the garage door so you can work on the bottom edge. Measure the width of the door. If the door is a standard size, a home improvement store may carry a garage-door seal that will fit. 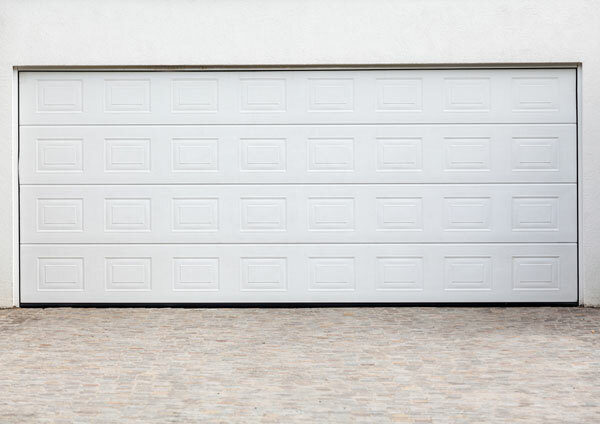 Garage doors typically range from 9-16 feet. The seal can be trimmed to fit, so buy extra width if in doubt. If your garage door has an old seal, you’ll need to carefully remove it by pulling out the nails. You will need to use your hammer and flat bar to do this. If the door seal is attached to the track on the bottom of the door, you will need to remove it from the track by pulling it from one side, then putting on the new seal and trimming it to fit. If your door doesn’t have a track, unroll the new bottom seal and lay it along the width of the door. Attach the seal to the door bottom by using the proper screws or nails, one at a time. Be sure you know if your garage door is metal or wood and get the appropriate nails for it. Install the new seal with the larger sloped edge towards the outside of the garage door and the flat part against the bottom. Trim away with scissors any extra material. Once you have the seal installed correctly, you’ll be able to reap the benefits of having a cleaner garage that is warm in the winter and cool in the summer. Ponderosa Garage can help with garage door installation or repair. Give us a call if you need help with your door’s seal.